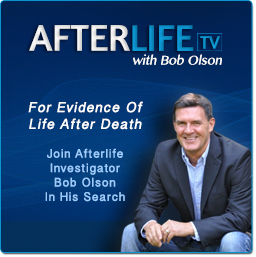 Eighteen months ago, I had an outstanding past-life regression. My session was so compelling that numerous people who read my article about it have traveled across the globe to have the same life-changing experience. But there was something about my session that I did not reveal in that article. What I held back was too sacred and personal to translate into words, and I needed time to contemplate it before sharing it with others. Nancy Canning, the regressionist who led me through that experience, actually calls this session a Spiritual Regression. She calls it that because after guiding you through a past life, she then leads you into the spirit world "between" lives. 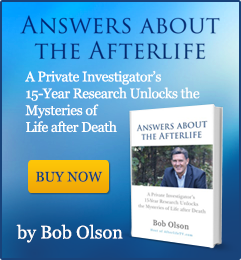 So while the past-life experience is truly spectacular in itself, the goal of a spiritual regression is to allow you to see, feel and know what happens to us after we die and return to the spirit world. And this is the segment of my first session with Nancy that was initially too sacred for me to share in writing. What happened that day wasn't nearly as intense as what most of Nancy's clients experience. But I was a skeptic so it didn't take much to make an impact on me. I did leave my body after dying in that past life as a Celtic man named George in 1643. I did see George's body getting smaller and smaller as I traveled higher and higher toward the spirit world. And I did actually arrive in the spirit world. But what happened next was even more amazing. Most people who have a spiritual regression go through many of the same events as a person having a near-death experience-without actually having to die, of course. After leaving their body from a past life, they go through the tunnel and into the light; they are met by their spirit guide and deceased loved ones in spirit; and after visiting various levels of healing and preparation, they eventually travel to meet up with their soul group-the group of souls with whom we are the closest, with whom we learn and grow in the spirit world, and with whom we share many of the same lifetimes. After meeting their soul group, many people then meet with the Council of Elders, master-level spiritual beings. I skipped most of the entry-into-the-spirit world experiences and went directly to the Council of Elders. There were reasons that I did this that are too complicated for this article, but suffice to say that it wasn't disappointing for me. I was very excited to meet the Elders. This segment of the experience was absolutely breathtaking. First of all, I was in the spirit world, which is everything near-death experiencers say it is. I felt immense love, warmth, safety and peace like I have never experienced on earth. I had no desire to go back to my prior life's body. That would be like coming inside to a warm house filled with friends and family during a bitter-cold winter storm, and then choosing to leave that cozy, loving environment to go back into the blizzard. So there I was tranquilly absorbing this spirit world scene when suddenly, sitting before me was a group of advanced beings who emanated love and wisdom beyond measure and who promised to answer all my worldly questions. It was pretty cool. So these seven beings of light, high-level spiritual masters, sat around an oval table with me. While they were only masses of light, I still had a slight knowing of their personalities, their body-like movements, and the most overwhelming sense that they loved me deeply. Their love was so intense that I burst into tears the moment I first felt it during the regression. Once in front of the Council of Elders, I immediately felt that they did not judge me for the errors of my past life as George. In fact, I felt their parent-like compassion for me because I was seriously judging myself. While in their presence, I had what is known as a "past-life recall," experiencing my previous life all over again but with crystal clarity of the triumphs and failures I had made as George. And once again, I underwent the emotional and physical responses initiated during my regression of that lifetime: I sobbed, I shivered, and I learned lessons that have still not escaped me a year-and-a-half later. After the past-life recall, Nancy Canning attempted to guide me into what might be the most beneficial aspect of the spiritual regression-asking the Elders my life purpose, why certain people are in my life, and similar questions about my current lifetime that only spiritual masters can answer. Yet after finding out the purpose of two people in my life, I was too exhausted to go any further and I asked that we stop the session. While I later had some regrets for not going further and getting more answers, I had a lot to contemplate from my three-hour session. After all, I entered into this experience expecting nothing significant to occur. Prior to this session, I believed that other people experienced past lives in regression, but I didn't think I was capable of it myself due to my skepticism. Moreover, I certainly didn't believe that I would ever experience the spirit world until my life was over. So it took me a long time to digest the life-changing events of this first session. Recently I went back to Cape Cod, Massachusetts to have a second session with Nancy. This time, however, I wasn't so interested in the past-life portion of the regression; I returned to finish what I had started a year-and-a-half earlier in my life between livesexperience. And Nancy delivered. Interestingly, Nancy was sending out a letter to all her past clients that day. 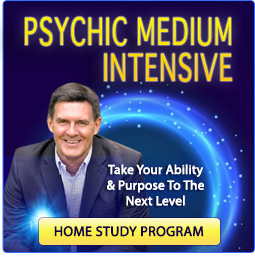 She had recognized that clients who have a second experience with her are able to move into the spirit world much quicker than was accomplished in their first session. This allows those people more time to experience the spirit world and to ask the Council of Elders questions. So Nancy and I were in alignment with one another on our goals for my second session. Nancy has also increased the amount of time she gives to each session-by an hour! Initially it was three hours, but now each appointment is four hours long, allowing time at the beginning and end to talk and ask questions, while leaving three full hours for the regression. While a four-hour session blows by like thirty minutes for the client, it is rather long for Nancy Canning because these spiritual regressions can be quite draining on her. Nancy is exceptionally clairvoyant, which allows her to actually see and hear what her clients are experiencing. Basically, she is going through many of the same experiences that her clients go through. And this requires a lot more energy of her than simply guiding her clients verbally. For me-initially the skeptical client-Nancy's clairvoyant abilities made my sessions more believable. Since I am not an exceptionally visual person, most of the information came to me as a knowing; that is, I just knew things. Nancy would ask a question and the answer just sort of popped into my mind. So anytime I would question if the answer I got was accurate, Nancy could confirm my answer by telling me what she had received clairvoyantly. Sometimes I asked what she was getting before telling her my answer to be sure my answers were not influencing her in any way. Every time, she and I had the identical answer. It was amazingly helpful, and I can't imagine having such a session with anyone else for this key reason. In my second session, I experienced a new lifetime, not George's life again. This time I was a twelve-year-old boy named Tom. I didn't know where I was located, but I did know it was 1563. I only told Nancy that it was the 1500s because my doubting consciousness got in the way again, telling me that 1563 sounded too much like my last regression in 1643. I guess that made me a doubting Thomas (sorry, I couldn't resist). Later, after three hours of confirming that all my other answers were correct, I realized that the year 1563 must have been correct as well. I arrived in that lifetime on the day my father died. My mother had already passed. I had a ten-year-old sister name Sally who I raised alone after my father's death. This of course seems awful being that I was only twelve, but it was 1563 after all and according to Tom, "I did what I had to do." I became a carpenter just like my Dad to make a living. It isn't surprising that my twelve-year-old mind did not know where I was located, but I did know what my house looked like, which was nothing to brag about. This is one of the few visuals I actually got. If I were imagining this whole story, I'd prefer to say that I was a rich and powerful prince-turned-king who lived in an ancient castle. But we lived in a stone house that wasn't much bigger than my living room today. I saw a huge fireplace made of large stone and a wooden picnic-style table in the middle of the room. I could even feel that it was cold and damp inside. Oh well, so much for grandiose illusions of my imagination. Nancy moved through my past life rather quickly since our goal was to get back to the spirit world experiences and this is the only route known in regression for getting there. I asked why we couldn't just regress back to the womb in this lifetime and take the back door into heaven. Nancy said that approach had been attempted but for some reason didn't work. So Nancy progressed me to the next significant moment in Tom's life, quickly bringing me to age eighteen when my sister was getting married. How I allowed Sally to marry at age sixteen, I'll never know. But it felt like a happy occasion and I seemed to like her new husband. Then Nancy progressed me to the next significant age, which was twenty-three when my sister died while giving birth. Right there in Nancy's office, my body quickly filled with intense grief, making my chest heavy with sorrow and my eyes gushing with tears. Nancy moved past it almost immediately, trying not to get too caught up in the suffering of that experience. The next thing I knew I was twenty-eight and getting married. After describing my wife, Nancy progressed me to the day of my passing. This is where things got weird. I knew I had progressed to the age of forty-nine, but initially had no idea how I died. Then, as I sat in Nancy's office recliner waiting for what came next, I felt something crawling down my left arm-in this life, not in my regression. I wasn't sure if it was real because at times it felt more like the crawling was underneath my skin. I began to think it might be a very large spider, but New England doesn't have spiders that weigh what I felt on my arm. Then Nancy asked me how I died and when the answer popped into my mind "from a spider bite," the crawling sensation on my left arm instantly disappeared. I didn't even mention anything to Nancy until after the session. Now I understood my life-long distaste for spiders (that's another way of saying I run like a frightened child at the sight of one). From there I quickly went into the spirit world, this time with more speed and ease than my first session. My spirit guide arrived and took me to the level for healing. This was a short stay since, according to my spirit guide, "Tom's energy didn't need much cleaning-he led a good life." We then went directly to the Council of Elders. Nancy hoped I could experience the entry-into-the-spirit world stages in this regression, but despite several efforts toward this aim, I wasn't going anywhere. She had me ask my spirit guide why I wasn't moving forward and his answer was that I had done this many times before and knew the experience well. He said I needed to move directly from healing to the Elders. So that's what we did. One of the wonderful aspects of this experience is getting to know your spirit guide. I had already done a lot of work in this area through other means, so we didn't spend much time for this process, but I recommend it to anyone who would like to get to know the name, personality and very essence of the being who guides you through life. It's one of the most valuable connections you can make. Once in front of the Council of Elders, these wise beings made me aware of some issues I needed to work through in this lifetime. I needed to face some deep-seeded fears and the Elders did not hold back in teaching me this. My exact words when describing this to Nancy were, "They are beating me up pretty bad here." But I had a smile on my face when I said it because, while they were being brutally honest in teaching me lessons I needed to learn, there was a feeling of peace and love and even humor in their lecture. While they communicated to me telepathically, I could feel a lighthearted teasing as they expressed their frustration with my stubborn skepticism, which apparently was holding me back a bit. At one point, after the Elder's attempts to break through this fear didn't affect me, Nancy used a hypnotic technique for overcoming this kind of limiting belief, which seemed to succeed. While I have not had an opportunity to really test it, I am acutely aware of how this fear was affecting my life and now hope that I am free of it. I am most grateful to the Elders for bringing this obstacle to my awareness, and to Nancy for helping me overcome it. I really had no clue that this fear even existed, but now that it has become clear to me, it explains a lot. Once past this issue, I was able to ask the Council of Elders numerous questions about my life purpose, my career direction, my level of advancement in the spiritual world and what my position (my job) is there as a spirit. I was even able to find out why my spirit chose to come into this lifetime, which unsurprisingly is related to learning about human fears that block our progress. In the end, I felt as if I learned a great deal about my human-self by learning about my spirit-self. Nancy and I had prepared a list of questions at the beginning of the session so that she could direct me to ask them while in the presence of my guide and the Elders. When I had asked all the questions we had listed, I knew the session was complete. I thanked everyone for their guidance and Nancy led me out of the deep-trance state. The four-hour session was over in what seemed like minutes. I came away fascinated and hopefully a little wiser, while also becoming aware of a leading obstacle in my life. And while I do not yet know if I have eliminated the fear-block we uncovered, I have learned from other spiritual experiences that clarity alone is often enough to promote unprecedented personal growth. I left Nancy's office that day feeling like a noodle. As I basked in the calmness of my mind, I looked forward to discovering the benefits that would unfold from this experience in the coming days, weeks and possibly months. While there is no way to predict what those benefits will be, I have had enough spiritual exploration to know that one doesn't go through an experience like this without some kind of profound transformation of multi-faceted dimensions. 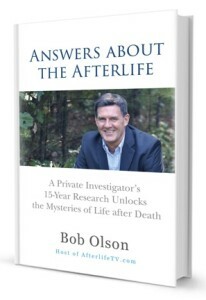 This was one of the most rewarding experiences I have had, and I highly recommend it to anyone interested in your past lives, "life between lives" or simply better understanding this life. Nancy Canning is a certified clinical hypnotherapist with a master's degree in counseling psychology. She has over 22 years experience with belief systems, regression, intuition and healing. 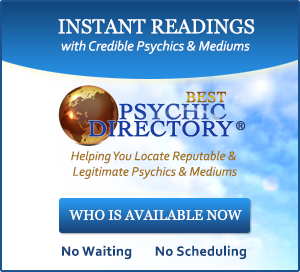 She is also an experienced and trained clairvoyant. She teaches classes on belief systems and intuition. 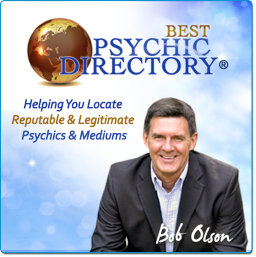 For more information on the incredible “Spiritual Regression” work mentioned by Bob Olson, and for more information on Nancy’s use of hypnotherapy to transform negative beliefs, visit www.NancyCanning.com. Nancy can be emailed at: ncanning@capecod.net or call her at (508) 360-9346.